Are services the new manufacturers? 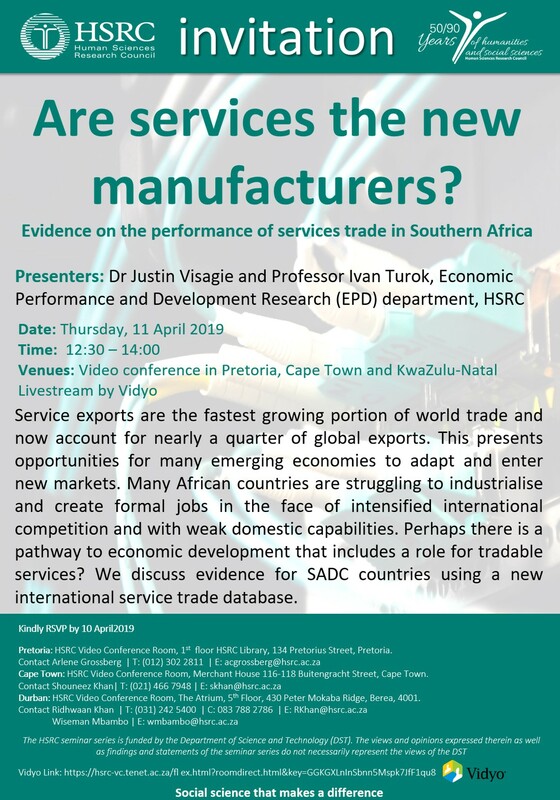 Service exports are the fastest growing portion of world trade and now account for nearly a quarter of global exports. This presents opportunities for many emerging economies to adapt and enter new markets. Many African countries are struggling to industrialise and create formal jobs in the face of intensified international competition and with weak domestic capabilities. Perhaps there is a pathway to economic development that includes a role for tradable services? 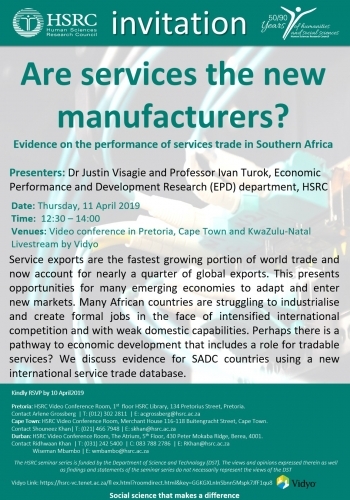 We discuss evidence for SADC countries using a new international service trade database.